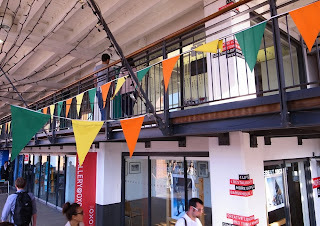 We were delighted to be asked to make up bunting for the OXO Tower Wharf , London in June. The bunting was made up in the vibrant colours of orange, yellow and emerald green. The building houses a variety of design, arts and craft shops, gallery space and restaurants. As the wedding bunting season hots up, we have reworked our Pick & Mix Colour Chart. 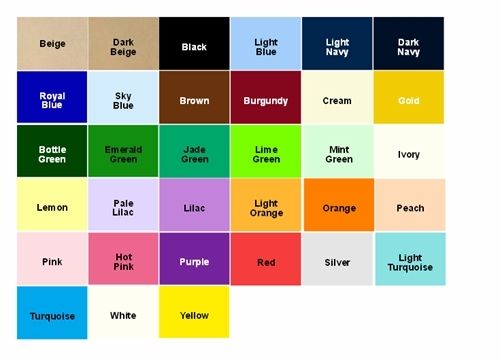 We now offer a choice of over 30 stock colours and at the same time have rechecked each chart colour to ensure as close a match as possible to each fabric colour. Our pick and mix colours bunting is ideal for a wide range of people. For weddings, bunting colours can be chosen to match the colours of the wedding dresses, flowers and venue decor. Businesses, schools and charities can also use our pick and mix colours bunting to match their own organisation's colours. Bunting can be displayed at promotional events, open days, exhibitions and trade fairs and can be used time and time again.